Anarchist utopia has been realized. 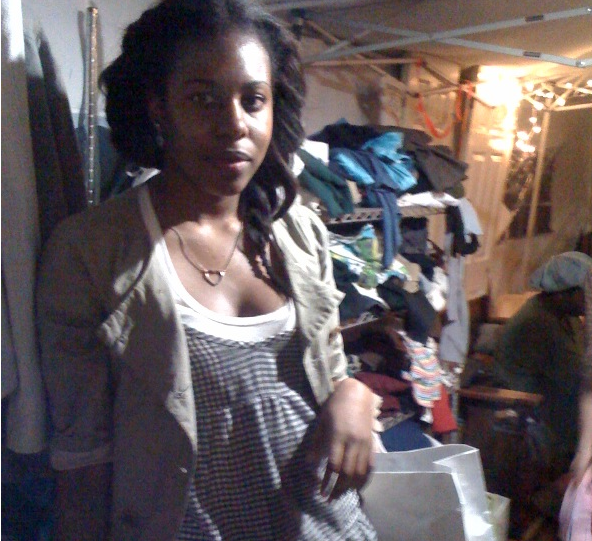 It’s on Walworth Street, in Bed-Stuy, just behind the Home Depot, nestled between a clapboard house and overgrown parking lot. 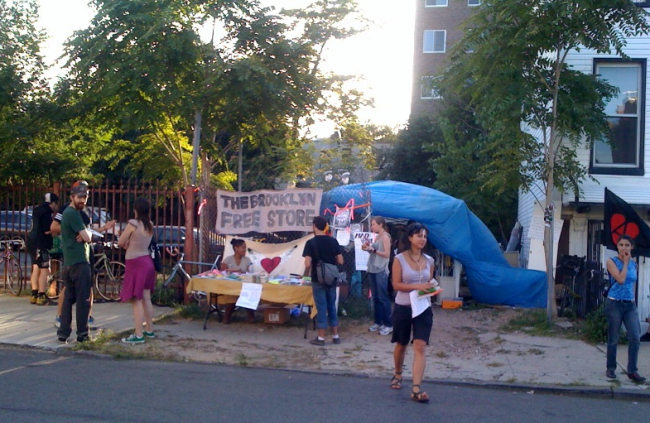 You’ll recognize it by the pile of bikes chained outside and the trickle of community members wandering in and out on the otherwise empty block. 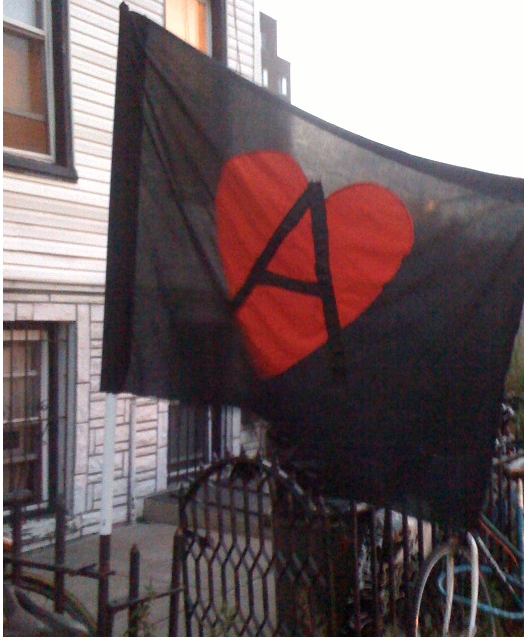 And, of course, by the black flag with an anarchist “A” flying proudly out front. 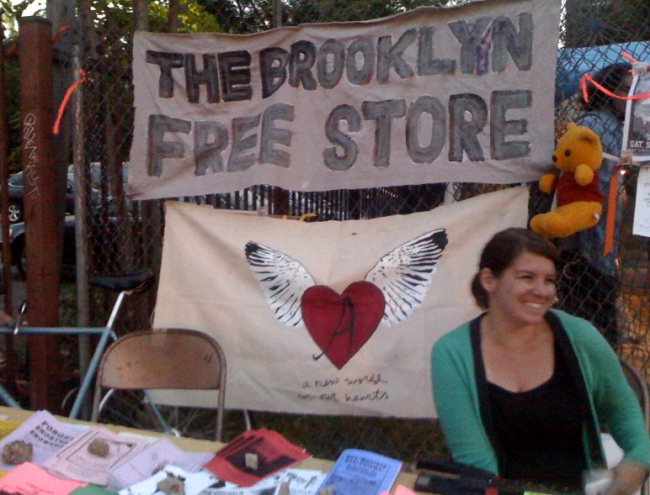 This utopia is known as the Brooklyn Free Store. The space came into existence on July 1, and held its official grand opening on September 11. Like a Freecycle incarnate, it’s a place where anyone, at any time, can leave something they don’t want or take something they do. There is no one in charge, and there are no rules. 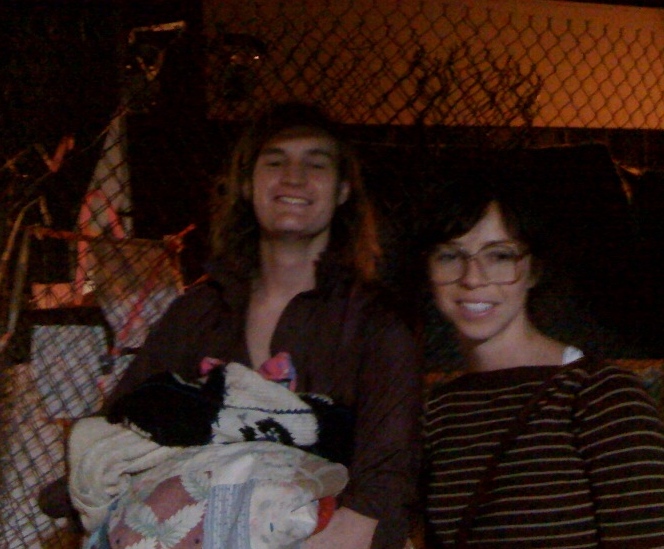 The store space had been just another vacant lot, one of the many in the neighborhood, until Laurel, Thadeaus and a number of their friends got together to clear it out and reclaim it. They pulled up weeds, cleared trash and disposed of rotting dead animals-including a dead chicken and turtle. “They smelled really bad,” Thadeaus said. 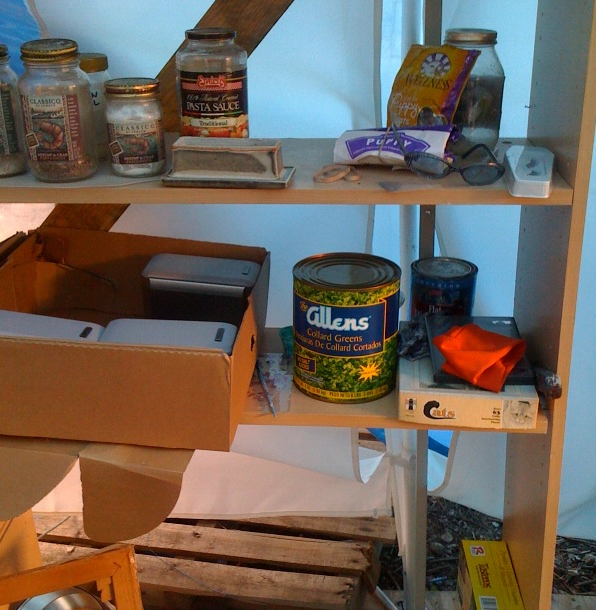 They put up a tent and a sign, and, Thadeaus said, people just started bringing things. During the grand opening, the store was in full swing. They now have a large blue tarp (though it has some holes in it), a plywood floor and lights. 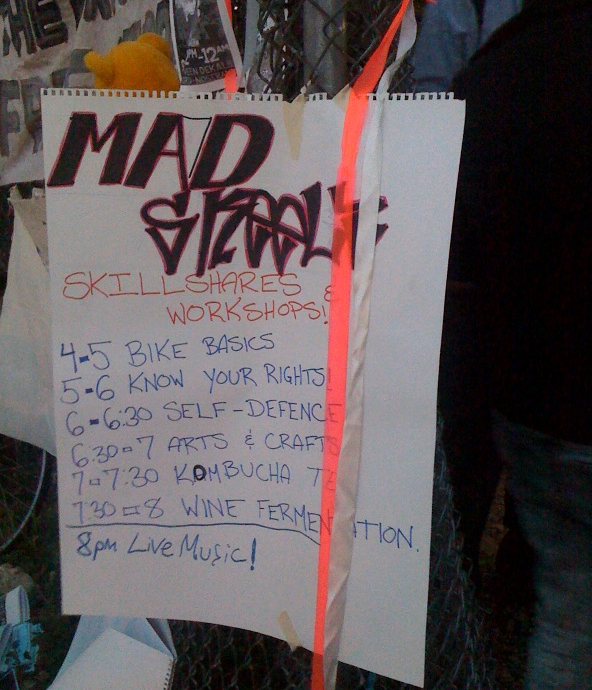 The store was hosting a series of skillshares-like classes, only without the hierarchy-that covered everything from “Bike Basics” to “Wine Fermentation.” Inside, community members young and old pawed through old books, clothes, baby supplies, canned food, lumber and various other once-discarded goods. 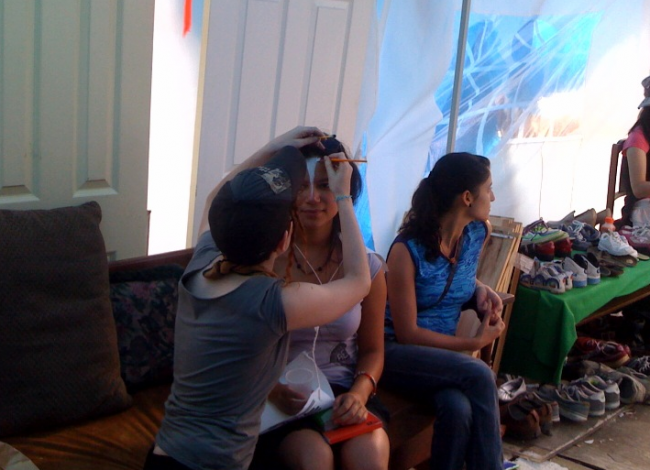 A woman was face-painting tribal designs on young children and adults. 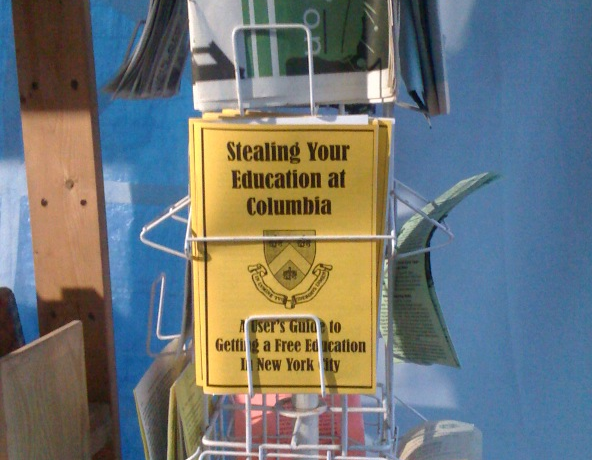 A rack sported zines such as “Anarchist Basics” and “Stealing Your Education at Columbia.” A vegetarian meal was being served in back, made mostly of food found in dumpsters. And somehow, everywhere, there were bowls full of bagels. Was he worried about bedbugs in any of his finds? Laurel walked past us carrying a PlayStation II. Are there any drawbacks to having a space where no one is in charge? So far, Thadeaus and Laurel agreed, the biggest drawback has been the weather-especially with winter approaching. “We have a couple of ideas,” Thadeaus said. “You know, we claimed this lot, we occupied it, we took it over, and we’ve been thinking about like maybe we’ll do that with a building. I think it’d be a little bit harder to get away with, uh, but you know, we’ve got our lawyers. “I’m just joking!” he said. Erica Sackin is our Spandex Report columnist, which focuses on the lives of the young, and is also the proprietor of Erica Saves the Day.